The founders of Gingis Academy of Music, Nataly and Anna Gingis, who envisioned a school with a curriculum that would be both challenging and rewarding, are dedicated to teaching music comprehensively. Both Nataly and Anna have studied with such luminaries as Emil Gilels (world-renowned concert pianist) and Isaac Katz, and are successors of world-known approach of Goldenweiser, the founder of Russian piano school. Following the European tradition of combining an individual instrumental skill training with history, theory, ear training, and stage performing experience, they have created a program that develops knowledge, understanding, appreciation, and love for music. The students of Gingis Academy of Music acquire logic, richness, and subtleties of music, that leads to a fuller understanding and appreciation in both performing and appreciating music, that they will carry with them for the rest of their lives. Nataly Gingis received her Ph.D. from Gorky Conservatory of Music in Russia, and worked for more than 20 years as a university piano department chair. Nataly frequently toured both Russia and United States, and had numerous TV appearances. She is the author of many musicology and methodology books and articles dedicated to the life and works of Haydn, Schumann, and Debussy. 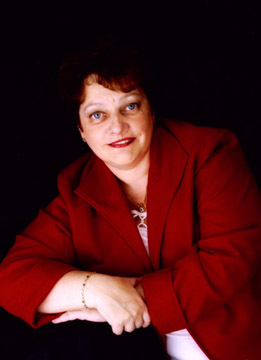 Upon immigrating to the United States in 1991, Nataly continued to pursue her career as a professor, teaching in universities and colleges throughout United States. A good portion of her students have won well-known national and international competitions for more than 15 years. Currently, Nataly is a member of Music Teachers Association of California, the Music Teachers National Association, and a frequent adjudicator for many local competitions and festivals. Anna Gingis received her BM form the Jerusalem Rubin Academy of Music, Art and Dance, and her MM from NDNU University. Anna has won many prestigious awards, among them are: The 1990 Silver Medal in the Russian Open Music Competition, The 1991 Gold Medals in the Russian National Concerto and Russian National Bach Competitions, The 1993 Silver Medal in the US Open Music Competition, The 1995 Gold Medal in the California Youth Symphony Competition, The 1995 Gold Medal in the Grand Piano National Competition, The 2000 Laureate of Bengalli International Competition (Special Piano Prize Award) in Italy, and the 2002 Gold Medal in the Redwood Symphony Orchestra Piano Competition. Anna has been a member of the Young Artist Guild since 1994, and after winning the Gold Medal in the Young Artist Guild Competition has toured the US. Her first debut was at the age of twelve with the Russian National Orchestra. Later orchestral performances include appearing and as a guest artist with the Jerusalem City Orchestra, the Redwood City Orchestra, the South Valley Symphony Orchestra, and the California Youth Symphony Orchestra performance at the Flint Center. Anna's solo performances include the Palo Alto Performance Arts Center ( In Cooperation with the City of Palo Alto Arts and Culture Division), "Noon Time Concerts" ( In Cooperation with the City of San Francisco Arts and Culture Division) as well as performances throughout Russia and Israel. She has been reviewed by the San Jose Mercury News, Jerusalem Times, Los Altos Town Crier and the Palo Alto Weekly. Anna's TV recordings include the "Grand Piano" and KNIV recordings, broadcasting throughout US. 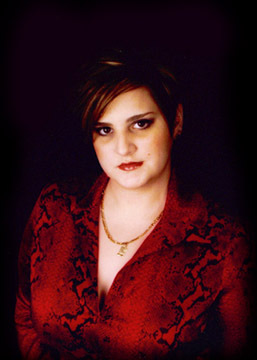 In addition, Anna has two CD recordings with the Redwood Symphony Orchestra and the South Valley Symphony. Her professional affiliations include the Music Teachers Association of California, the Music Teachers National Association, the California Association of Professional Music Teachers, and the Young Artist Guild Membership. Anna has also appeared as an adjudicator for the American College of Musicians National Evaluations and Convention as well as the Music Teachers Association of California Solo Competition.